This excursion retraces the main stages of the long history of Rome, the cradle of civilization and Christianity, an amazing city with immense historical, artistic and spiritual wealth. When we arrive in Rome, we begin our visit with a sightseeing tour of the city (by coach) that takes us to some of Rome's most famous monuments including the magnificent Colosseum, built by the Emperors of the Flavian dynasty for public entertainment. We leave the coach to admire this symbolic monument of ancient Rome from the exterior and we continue on foot. Our itinerary takes us to the Trevi Fountain, a magnificent Baroque monument that attracts visitors to the Eternal City and is also famous for the custom of throwing coins into the water with your back to the fountain: one to make sure you return to Rome and a second one to make a wish. 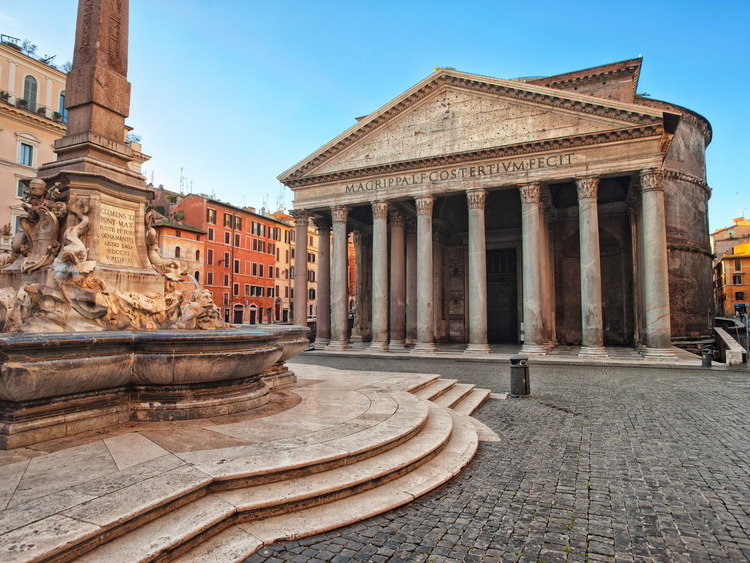 The tour proceeds to the Pantheon, one of the best preserved monuments of Antiquity, built by the Emperor Hadrian in honour of all the gods. Our next stop is Piazza Navona, one of the landmarks of the city, which is still steeped in the atmosphere of the times when it was the scene of circus games in 17th century Rome. Here we have free time for lunch. Our main destination awaits us in the afternoon: St. Peter's Square with its magnificent Basilica. We stop to observe the colonnade designed by Bernini that embraces the circular area of the square framing the façade of the Basilica and its huge dome. In our free time we can visit St. Peter's Basilica, the symbol of the Vatican State, built on the tomb of St. Peter. Inside there are priceless treasures of art including the Pietà, the magnificent marble statue by Michelangelo. After a last look at the heart of Christianity and after taking another few photos with which to remember it we return to the coach that takes us back to the ship. This excursion includes a walk that usually lasts 2 hours and 30 minutes, it is therefore not recommended for guests with mobility problems.